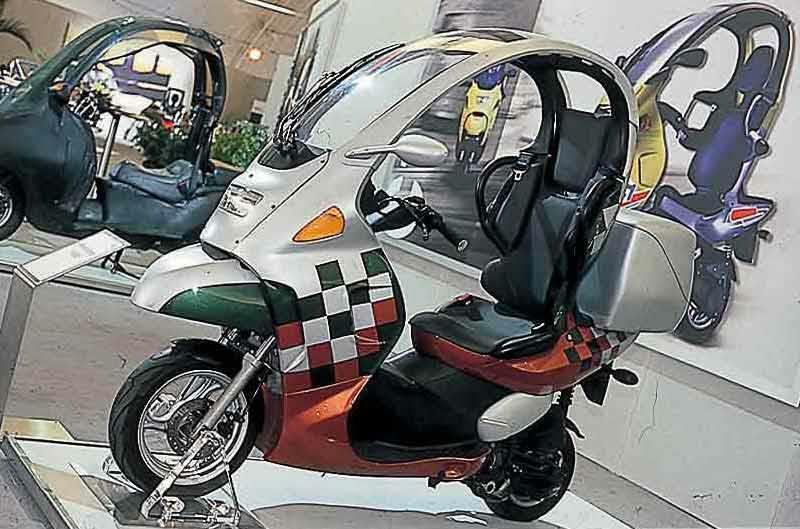 A motorcycle with a roof that doubles as accident protection. 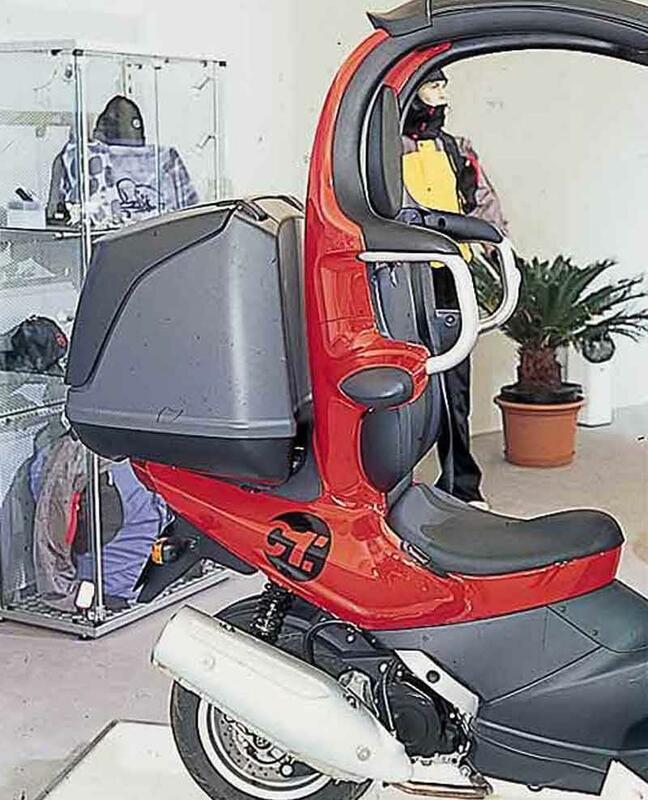 Be the smartest commuter in the city or ‘that twonk in the Noddy moped’ depending on your perspective. 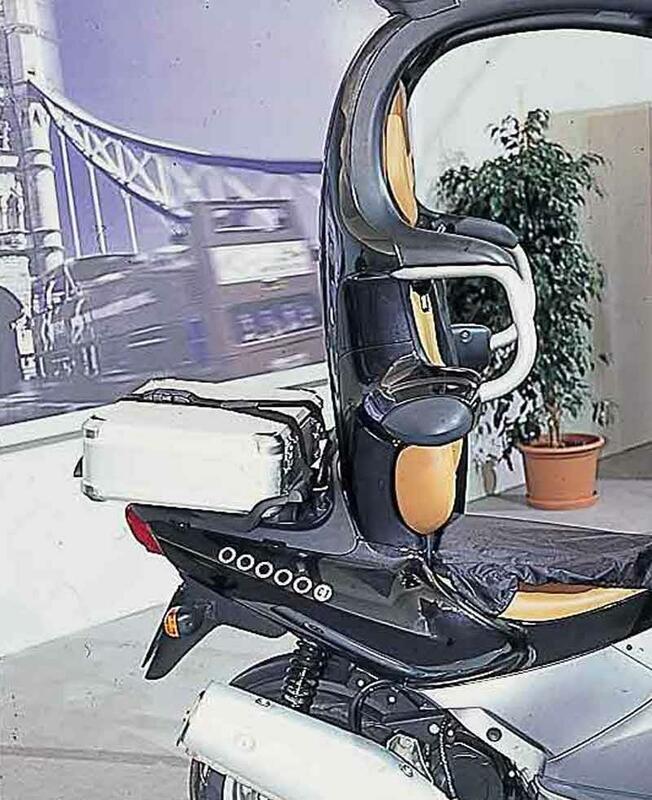 The BMW C1's £4K price tag (it dropped by £600 when the 200cc version came out) was high for an overweight scooter – even if it did keep you dry. Few were sold and BMW were swift to pull the plug. Small wheels, quite a bit of weight and some of it’s carried high – it’s not the recipe for perfect handling. The BMW C1’s not about scything round long sweeping country bends though – it’s an urban dodger. It works fine in that role except it’s a little wider than conventional scooters which can be annoying. 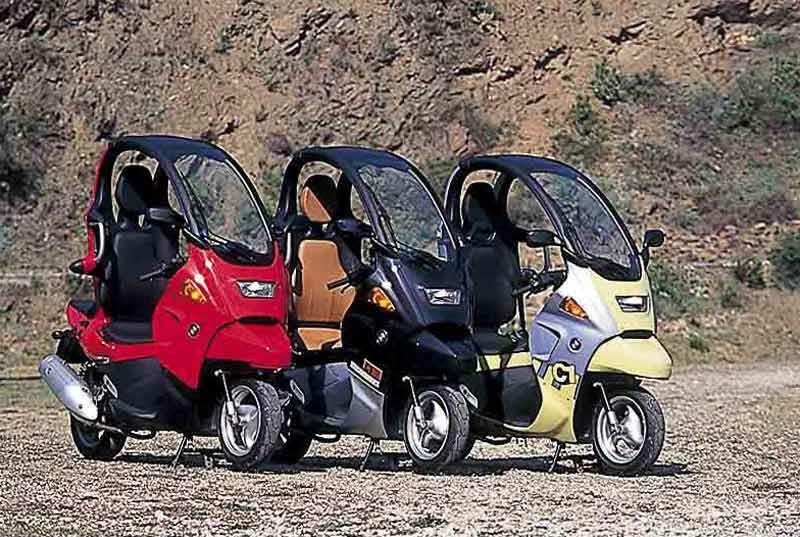 The BMW C1's 125cc engine’s an unremarkable four-stroke single producing a respectable 15bhp. But it’s a heavy motorcycle at 185kg – all the 1000cc sports bikes weigh less. This means performance is pretty sluggish – the BMW C1 willl pull away from cars when the lights go green but not by much. The 200 version (which was actually 176cc) is nippier. Like all BMW’s the C1 is well thought out but suffers a few niggles. The oil pressure switch can fail, wipers judder, front wheel bearings fail, fork legs corrode and the headlight can overheat – which sounds like a big list of problems but they’re all pretty minor and not that common. The BMW C1 is not cheap compared to regular scooters – but you get more for your money than most. BMW C1s have a real cult following and some owners have two or three to provide them with a supply for the future. Potentially a collector’s piece. You’ll probably have to travel to find one though – try Chasbikes in London, SE1. 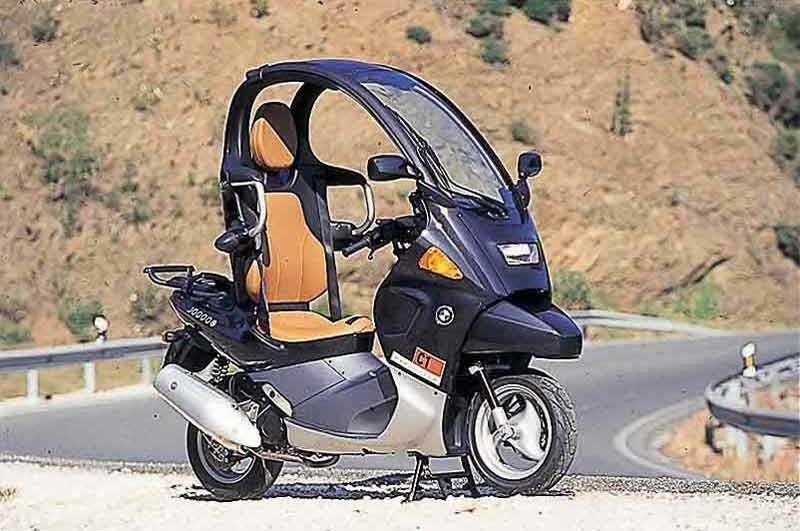 Find a BMW C1 for sale. 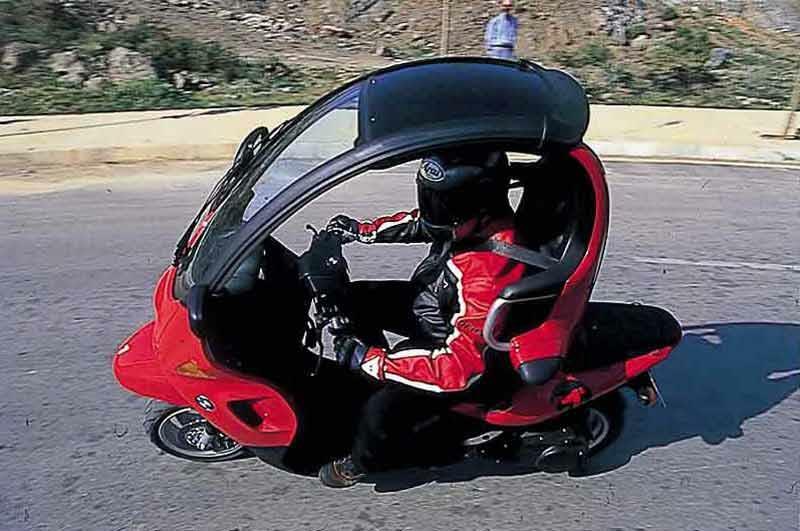 Yes the BMW C1 has a roof and it doubles as a safety cage. The only comparable machine with a roof is Honda’s non-UK Giro. The C1 has quite a bit of luggage space and it’s pretty comfy too. There’s even a seatbelt. Brembo brakes are great and ABS is an option. Massive list of optional extras including things like heated seat and stereo. Compare and buy parts for the BMW C1 in the MCN Shop. 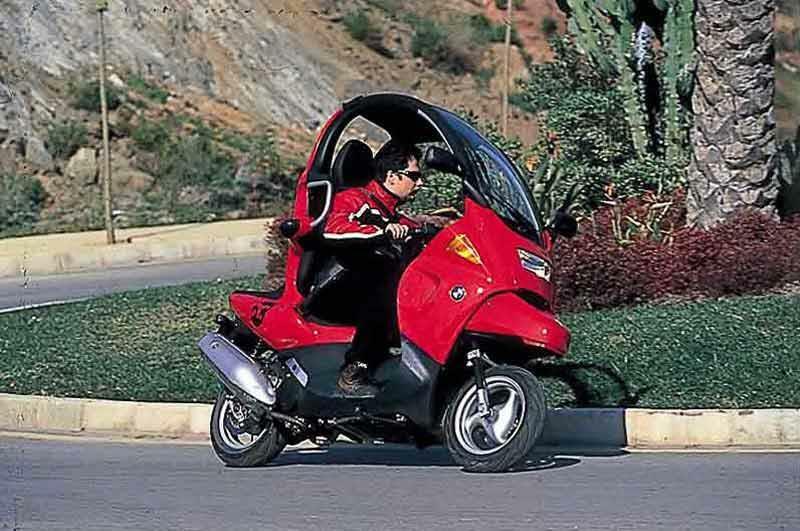 2000: Original 125cc BMW C1 launched. 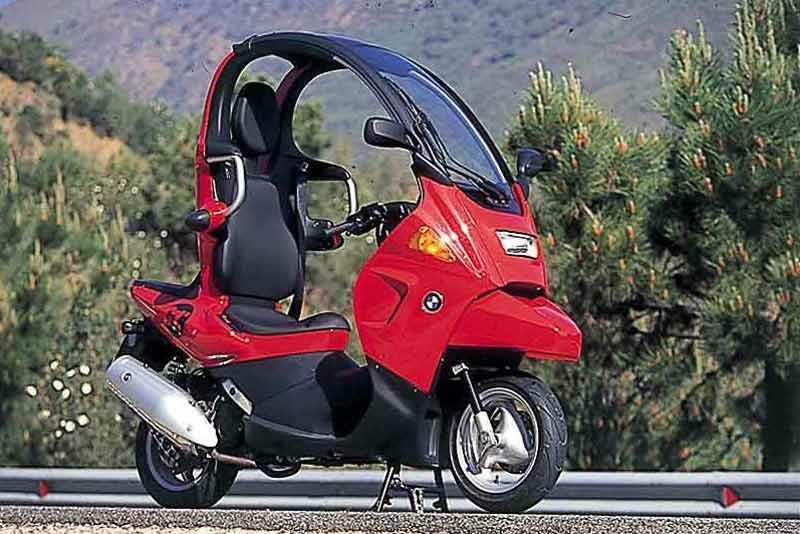 2001: BMW C1 200 launched. BMW C1 125: Base model with 125cc engine. 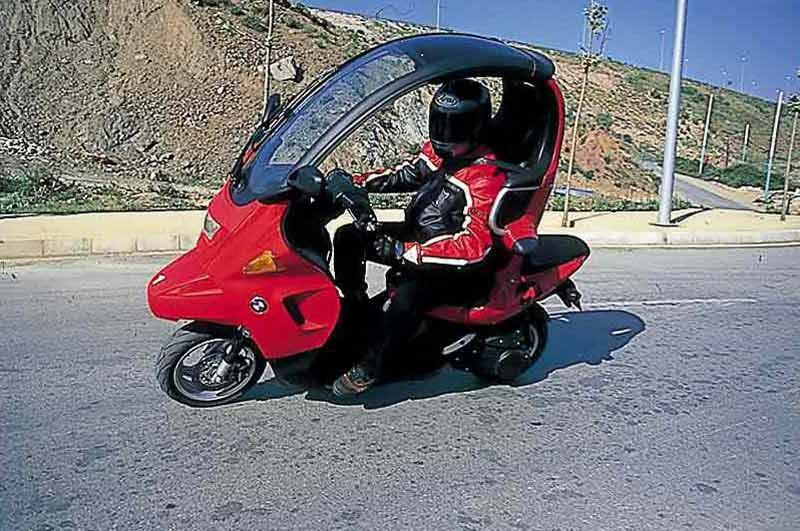 BMW C1 200: Base model with 176 cc engine producing 18bhp. BMW C1 125 Family Friend: extra luggage attachment kit and large storage compartment. 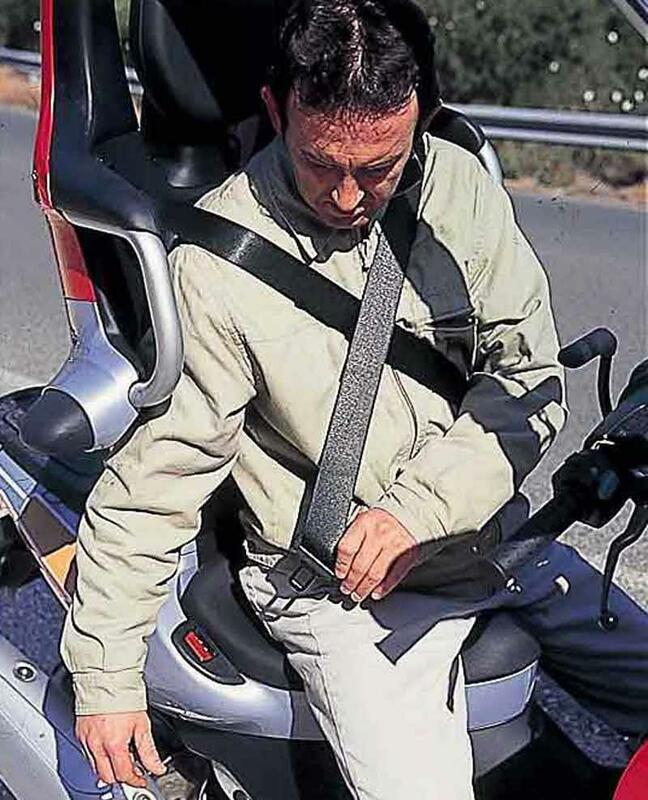 BMW C1 200 Family Friend: extra luggage attachment kit and large storage compartment. 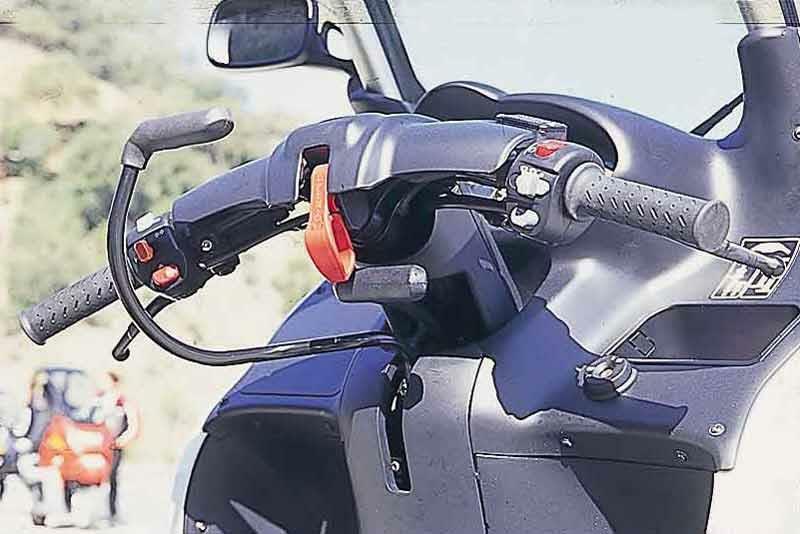 BMW C1 125 Executive: As Family Friend plus reading light and mobile phone holder. 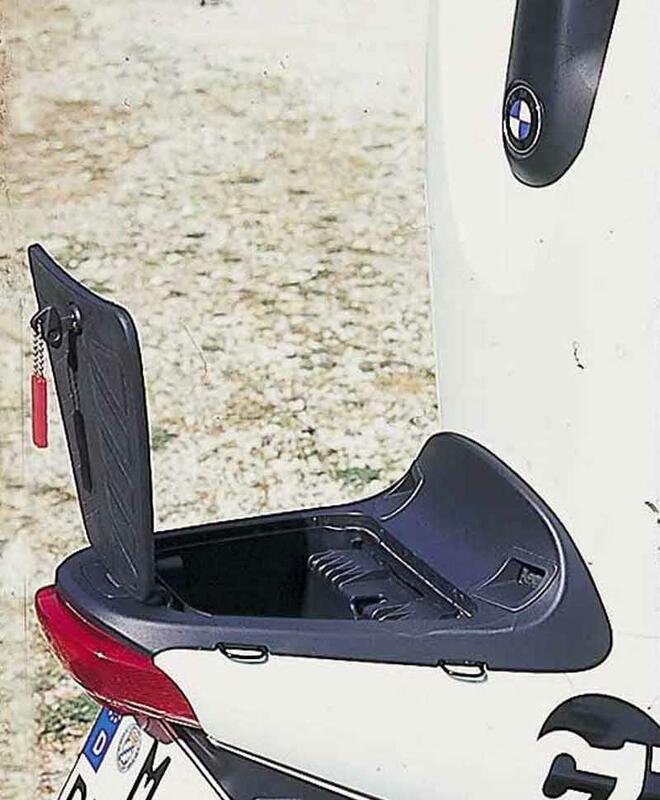 BMW C1 200 Executive: As Family Friend plus reading light and mobile phone holder. BMW C1 200 Williams: As Executive plus special paint. 3 owners have reviewed their BMW C1 125 (2000-2002) and rated it in a number of areas. Read what they have to say and what they like and dislike about the bike below. Don't knock it until you've tried it. As a commuting vehicle, it's great. Safe, dry well equipped and comfy. Realistic cruising speed is 50mph, but that's fine on most roads. Don't think that you're getting German build quality though, as it's actually made by Bertone in italy. Will do 85mpg, despite the performance blunting weight. Can't seem to improve on 85mpg no matter how hard I try. Great fun in the wet on Bridgestone Hoops and secure with ABS. A 2 wheeled car.